A great many well kept footpaths pass through Apperley and Lower Apperley. There are exelllent views of the Cotswolds, the Malvern Hills and Bredon Hill from many parts of the village. There is a large car park at Apperley Village Hall, from where it is possible to follow footpaths across the fields to Deerhurst and the River Severn. Apperley is the largest of the villages in Deerhurst parish, with a population of about 800. 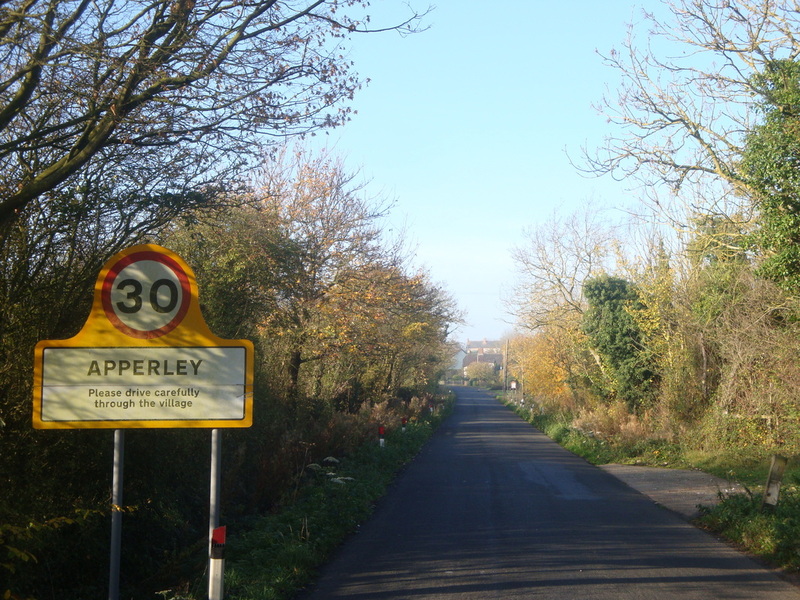 Lower Apperley consists of a number of cottages and farms strung out along the B4213 which by-passes the village centre. The village no longer has a shop, but it has a thriving village school, a modern village hall, two churches (Anglican and Methodist), a progressive cricket club, parish playing fields which are home to the football club, a tennis court and an excellent children's play area. Activities which take place at the village hall include the Playgroup, Youth Club, Bowls, the Art group and many more. The two pubs lie on the outskirts of the village - the Coal House on the banks of the River Severn and the Farmers Arms at Lower Apperley. The Apperley war memorial is situated on the village green, close to the pond and Holy Trinity Church. The war memorial honours the men of Deerhurst parish who gave their lives whilst fighting for their country during the First and Second World Wars.